Access from any mobile device via streaming or download the mp3s for portable listening. Every week you'll get three (3) videos with three (3) corresponding downloadable audios and worksheets (when needed) for you to complete action steps. This module goes deep into understanding the very influential roles that you have and what you can do when that influence fades. The Celebrity, The Confidant, and The Coach are discussed and how to be better at each role. This module helps us understand how our children form beliefs, good or bad, and how we can influence them towards Islam. This module digs into how we effectively empower our children. How we create references that can last a lifetime. We also do a few exercises for the brain. Influence is an important component of our parenting and learning how to cement it systemically. We do exercises and provide best practices for easy implementation. Motivation and Training Discipline This training digs into understanding how and what motivates our children as well as how to utilize training discipline effectively. We delve into the multiple triggers and effective us. Proper Planning and Goal Setting Preparation is essential for anyone wanting to achieve anything worthwhile. I train on how to plan properly in three areas of life that affect us all. Becoming a Nurturing Household Many Muslim children lack the nurturing that can give them strength in life. We discuss a few special ways to encourage love, closeness, and provides a nurturing atmosphere wherever you are. The Dangers Directed at Our Daughters This module digs deep into the cultural attack that is being waged against morals, especially against our girls. From media programming, romantic fantasies, and relegating women to mere sexual objects, we discuss how to recognize the assault and how to deal with them. Mother and Father Relationships Many of our children learn how to behave based upon the lifestyle of their parents and what they experience or don't experience. I provide best practices and principles on how to interact when in front of your child(ren) and how to not allow them to control the dynamics of the relationship. Understanding the significance of being congruent in public and private is essential. Holidays and the overwhelming attack on tawheed through the children is discusses and how to combat it is taught in this module. Preparation is essential for anyone wanting to achieve anything worthwhile. I train on how to plan properly in three areas of life that affect us all. Many Muslim children lack the nurturing that can give them strength in life. We discuss a few special ways to encourage love, closeness, and provides a nurturing atmosphere wherever you are. Having Balance is essential and relieves stress while allowing you to be present. Learn how to maintain order, balance, and sanity for yourself and teach your children to have balance despite the circumstances. Knowing the expanding spheres of influence that comes with schools is essential to empower your children instead of letting them get swallowed up. Understanding History. Physical health and activity. The danger of not understanding history and how it affects us. The importance of sports/physical activity in our children's lives. This amazing course packs almost a dozen hours of high level parenting that includes emotional awareness, connection, the latest in neuroscience developments, and best practices for mothers and fathers of children with differing personalities. 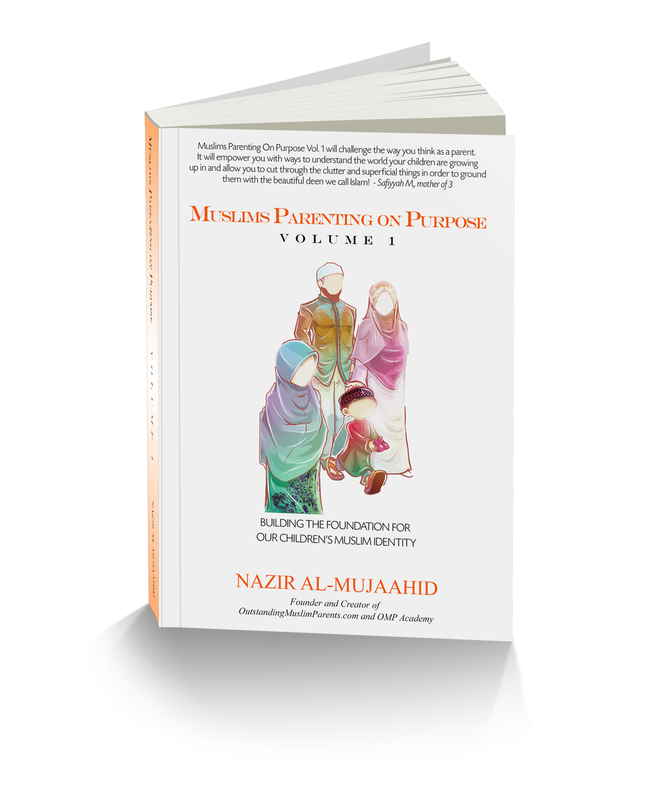 Conducted by Nazir binNaseeb Al-Mujaahid, author, father of ten (10) children, and parenting trainer to 1,000s.